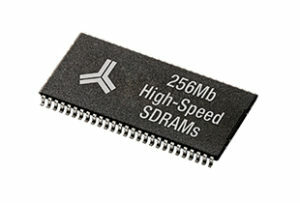 The new 256Mb AS4C32M8SA (32M x 8 bit) and AS4C64M4SA (64M x 4 bit) are the latest additions to our portfolio of SDRAMs. They’re reliable drop-in, pin-for-pin compatible replacements for a number of similar solutions used for consumer and industrial products, and complement our existing x16 and x32 parts. Learn more . 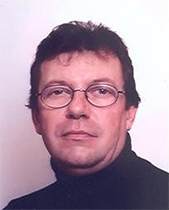 . .
We’re delighted to announce that Didier Boursier has joined the Alliance Memory team as regional sales manager for France. Didier is working to drive revenue growth by building our direct OEM business and driving design wins at key accounts. Before joining Alliance Memory, he worked for semiconductor manufacturers such as SIPCUBE, Centillium Communications, Marvell, and Lattice Semiconductor. Read more . . .
Late last year, we announced the 1000th design registration in a program we started in 2016 to “give back” to distributors who specify Alliance Memory products in their bills of materials. This is actually a huge milestone for us. It shows that top distributors are recognizing us as a key partner. It reflects our very robust sales throughout 2017. In fact we’re continuing to add new design registrations at a rate of more than 100 per month. I’m mindful every day of how our channel partners have contributed to our growth, and our design registration program helps us to reward them in several ways. For example, by giving us an early indicator of which of our products are most popular, the program allows us to forecast demand better and plan further ahead to order wafers and finished goods. It takes a distributor considerable time and effort to complete a registration submission, but our goal is to make that process pay off, not just with preferential pricing but also by helping us both to serve our customers better. Alliance Memory has worked very hard to build our global distribution network and to be one of the manufacturers that our distributors value as a trusted partner. The success of our design registration program shows that this strategy is working, and that we’re succeeding in our goal of becoming a better partner for our distributors and a better resource for the end customer.